Distributed Complicity: "Ethnic Filter"-Apps and "Racist Algorithms"
Today, cultural appropriation is part of an ongoing colonialist disposession, hegemonic grabbings of discourses as well as of material culture, extraction of raw material, land grabbing, ecological and economical exploitation. In the wake of the entangled and violent history of Europe and Africa, the symposium looks at other practices and possibilities. Of course, in a networked digital media world, questions of copyright and the commons intensified with sampling music, questioning the status of ownership and creativity. Pop music commodified Black beats, and cultural minorities hijack the entertainment industry. But this does not happen within a symmetrical power relation, as the distribution of wealth and technologies are extremely uneven. 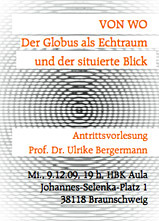 The symposium will discuss artistic and theoretical strategies to resists the grab. We refer to TRTL's queer photographic expressions and the usages of the traditional kanga cloth through queer histories and communities, we reflect on different time frames in afrofuturism and post-black art, we talk about possibilities of diasporic un/belongings, resistance, anger, and love. 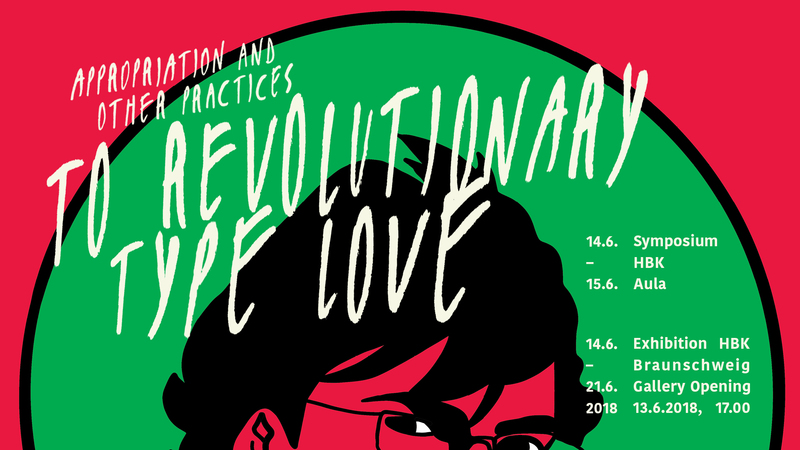 - To Revolutionary Type Love is the name of an exhibition celebrating queer love in Kenya and beyond. It is a toast, and it is coming to Braunschweig. Artists Kawira Mwirichia, Malcolm Muga and Faith Wanjalafrom Nairobi will present the group's exhibition, making use of the medium of photography in many ways, as well as of the East African textile, the kanga, using symbols and quotes unique to the triumphs and stories of the queer movements from Kenya's and international communities. Funded by Pro.Niedersachsen and HBK Braunschweig; cooperation with Iwalewa-Haus Bayreuth. Occupy's microphone - Medium der Partizipation? Post_colonial visions, geographical imaginations, and "Carbon Colonialism"
Wie hat man das Sichtbare zum kolonial Sagbaren gemacht? Wie sieht, wie zeigt man, was die eigene Einteilung der Welt plausibilisieren soll? Und wie kann man solche Bilder verändern, das Visuelle dekolonisieren, auf visuelle Weise Dekolonisieren? Der Workshop widmet sich den Schauplätzen medialer und künstlerischer postkolonialer Strategien im Film, im Museum und auf der Bühne. Dabei geht es sowohl um die kritische Lektüre materialer Erbschaften des Kolonialismus, etwa der Artefakte von Forschungsreisen und sogenannten „human remains“ in Museen, die Teil einer Aneignungs- und Ausstellungskultur waren und sind, als auch um Strategien des Kuratierens der 'Kunst der anderen' in Museen, Galerien oder dem Humboldt-Forum. Es geht aber auch um die Verbindungen antikolonialer Kämpfe mit Film/Kino, um zeitgenössische künstlerische Interventionen in koloniale Archive - und die Möglichkeiten dekolonisierender ästhetischer Verfahren. Mit einem Performanceabend von Vaginal Davis. Diskutantin beim Workshop "Wissenschaftliches Publizieren im Open Access: Status Quo und Strategien"
und Moderation des Panels "Recht auf Rechte. Refugee-Proteste, Repräsentation und die Grenzen Europas"